Ever wonder what “a day in the life” of a Beauty Blogger is like? 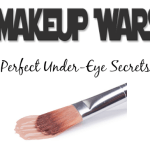 The Makeup Wars team is giving you a glimpse into what our typical beauty routine is for an average day. Have you ever thought about what products you use and how many times you use them during the day? 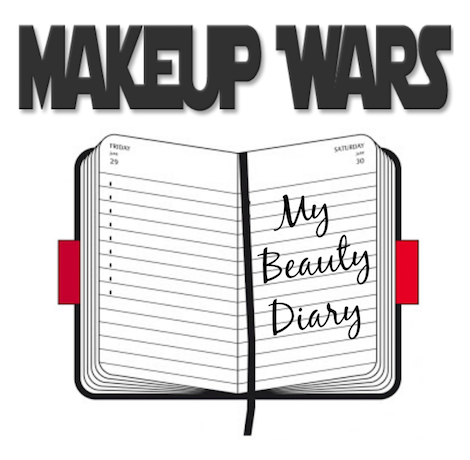 Take a look at my beauty diary to see my routine! 6:00 AM: Up and ready for my day. I start my beauty routine by brushing my teeth using Crest Be Dynamic Lime Spearmint Zest Toothpaste. Then I hit the shower and wash my face with philosophy microdelivery daily exfoliating wash. I love this cleanser, because it gently exfoliates skin without stripping it. My face feels thoroughly clean. For my body, I’m currently using Dove Purely Pampering Pistachio Cream with Magnolia. It’s moisturizing and I love the scent. I also shave my legs; I’m using the eos Pomegranate Raspberry Shave Cream with my Venus & Olay Razor, a brand of razor I’ve used for years. 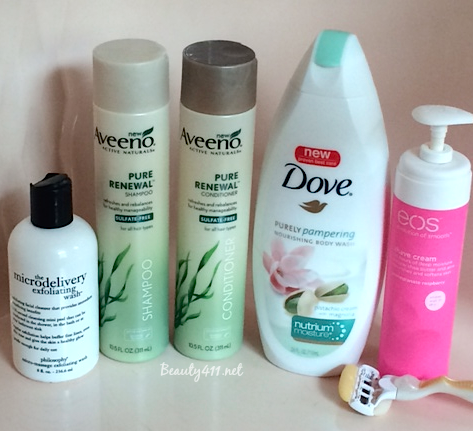 Hair products usually change frequently, depending on if I’m testing; for right now I have AVEENO Pure Renewal Shampoo and Conditioner in my shower. When I get out, I apply Origins A Perfect World Body Cream and Donna Karan Cashmere Mist Deodorant, a staple. 6:30 AM: Hair: Before I blow-dry, I apply ALTERNA Bamboo Smooth Anti-Breakage Thermal Protectant Spray, then Kerastase Mousse Bouffant (for volume). 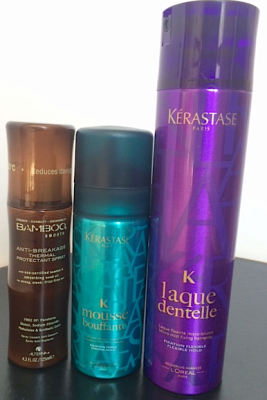 When done, I apply Kerastase Laque-Dentelle as a finishing spray. 6:40: Now that my hair is done, I’m all about the skincare. My basic steps are cleanse (done in the shower) and protect. 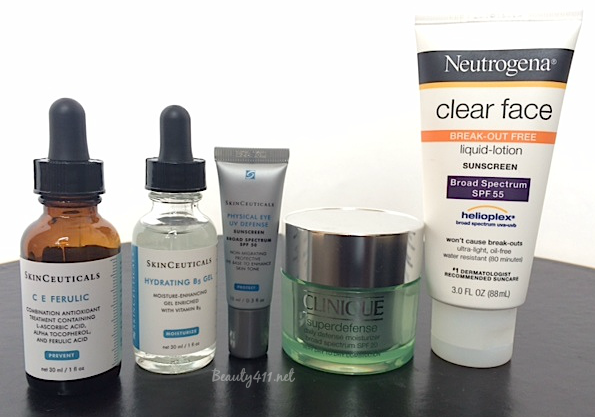 I first apply SkinCeuticals C E Ferulic, one of my most-trusted beauty products. I’ve used this serum since 2007 and in my book, it’s the gold standard for anti-aging. I follow that with SkinCeuticals Hydrating B5 Gel. I like to use those products in combination. 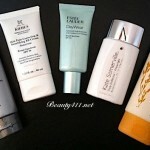 Then I follow with SkinCeuticals Physical Eye UV Defense eye cream/sunscreen. 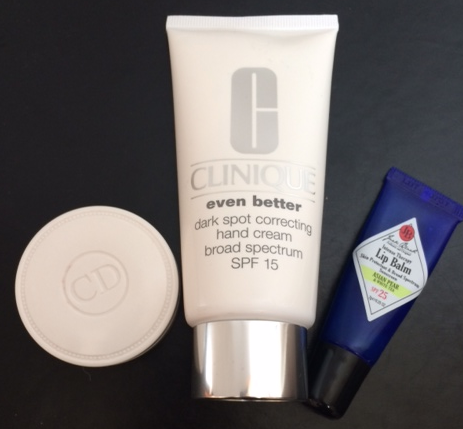 I follow with Clinique Superdefense Daily Defense Moisturizer SPF 20 and then follow with an additional sunscreen. Today, since I’m going to be wearing makeup, it’s CHANEL UV Essentiel SPF 30. Otherwise, I’d grab the Neutrogena Clear Face Broad Spectrum SPF 55, which is excellent for combination/oily skins. 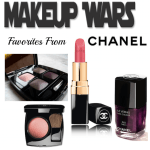 6:50: Makeup: I decide to do a one-brand face-of-the-day, using CHANEL. I love CHANEL because I can just randomly pull products out and somehow they always work together. I start by applying Vitalumiere Aqua in Beige, followed by Les Beiges No. 50 (for bronzing and to add definition) and Powder Blush in Rose Petale. On eyes it’s one of my favorites; the Eyeshadow Quad in Mystere, Waterproof Long Lasting Eyeliner in Cassis, Inimitable Waterproof Mascara in Noir and Rouge Coco Hydrating Creme Lip Color in #60 Triomphe. 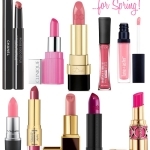 Throughout the day, I generally don’t re-apply or touch up makeup other than a lip balm. I always have a Jack Black Intense Therapy Lip Balm or Fresh Sugar Lip Treatment in Sugar Petal nearby. 8:30 PM: I’m testing the new Tria Age-Defying Anti-Aging Laser (full review coming), so my skincare routine has varied to accomodate the changes in my skin. I always start with a clean face, so first I remove makeup with the AVEENO Positively Radiant Makeup Removing Wipes, then I cleanse with the VI-Derm Anti-Aging Cleanser (review). Since testing the Tria, my skincare regimen changes frequently to accomodate whatever my skin is doing. 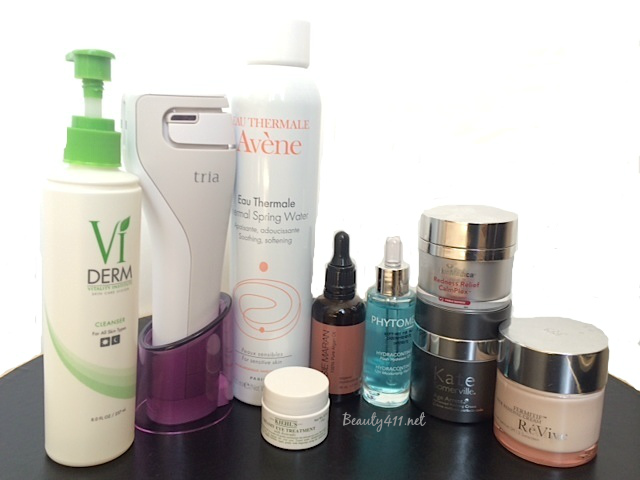 On the day I am compiling my beauty diary, my skin is hot, dry and pink post-Tria-treatment. I start first by spritzing my face with Avene Thermal Spring Water. My skin immediately feels cooler and once it’s dry, I’m ready for skincare. I mix a few drops of Josie Maran 100% Pure Argan Oil and Phytomer HYDRACONTINUE 12H Flash Gel and apply to my face. I let that absorb, then apply SkinMedica Redness Relief CalmPlex™ to address any remaining redness from the laser treatment. I apply Kiehl’s Creamy Eye Treatment with Avocado, which is immensely hydrating. If needed, I’ll add on Kate Somerville Age Arrest Anti-Wrinkle Cream, then finish with RéVive® Fermitif Neck Renewal Cream. That’s a glimpse into a typical day of my beauty routine. What I think is interesting to note is that most of the products here are my “regulars”; what I use day in, day out (when I’m not testing). 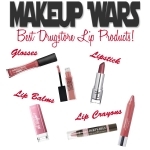 Make sure to check out the beauty diaries of the other Makeup Wars beauty bloggers! Disclosure: Some press samples may have been been provided by the brand/PR for editorial consideration, product testing and review. Many of the above products were purchased by me. Affiliate links have been used in the post, which means a small commission is earned. This helps to support and maintain Beauty411.net. I love your choices! Especially the Chanel! OO You have so many Chanel goodies! How do you like the Tria? I have light hair, so I’ve always assumed it wouldn’t work…. @Kelly: This isn’t the Tria for hair removal. 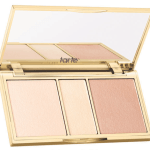 It’s a new one that uses non-ablative Fraxel technology for anti-aging on the face! So far, so good. I just started week 5/12. 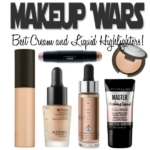 @Brooke–You always have great products, too! Heading over to take a peek! I knew I’d be envious of your skincare routine! I need that SkinMedica Redness Relief for sure, not only with the Tria, I get red from so many things. 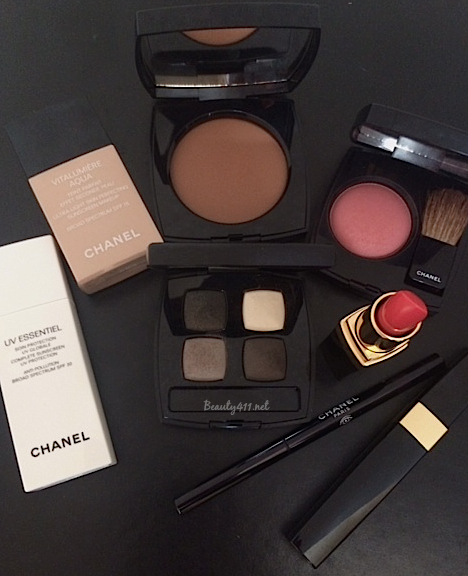 Oooh gotta love a Chanel makeup day! Oh WOW! The Tria looks kinda scary and kinda cool. Can’t wait to see your review on that. @Teri If I was down to my last $1, I’d spend it on skincare! 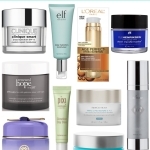 I love seeing all the skincare products you use! So many great choices! I love that Dove bodywash, too! I’ve been using that EOS shave cream for years and haven’t found one I like better. So creamy. And I’m curious about how the Tria is working for you. I have a Sens Epil and gave up after 9 months when I still had hair. Oh and it all grew back.